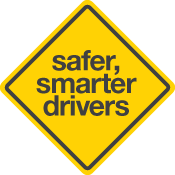 Driving involves risk, and safe drivers aim to reduce and manage their risk by making good decisions and taking responsibility for their behaviour when driving. Driving a car is one of the riskiest activities that people perform on a daily basis. 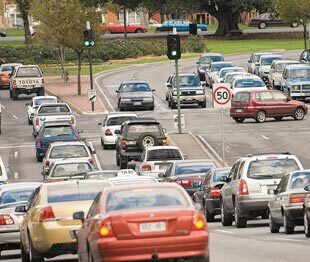 Each year, there are thousands of crashes in South Australia, often involving death and injury. Driving is complicated and presents many challenges every time you drive. It requires a lot of time and practice to develop the skills to become a safe driver. These behaviours are discussed in more detail on the following pages and further information can be found on the mylicence.sa.gov.au website. Severe penalties apply to drivers and riders who commit road traffic offences, including those involving the above behaviours. In most cases, penalties increase in line with the seriousness of the offence and whether the offence is a first, second, third or subsequent one. The penalties include fines, demerit points, licence disqualification or even imprisonment in some cases, and are designed to send a clear message to drivers and riders about the dangers such risky behaviours pose for the safety of themselves and other road users. Motorcyclists have a much greater risk of crashing than drivers of other types of vehicles. The information contained in The Driver's Handbook should be read by motorcyclists. In this Road Safety section, you will find useful information about sharing the road, as well as hazardous driving situations, including country driving risks and how to keep your vehicle safe. You are encouraged to read the road safety pages carefully. They can help South Australian drivers and riders of all ages to drive in the safest ways possible and set the scene for lifelong safe driving behaviours and experience. In particular, young drivers have been shown to have a higher risk of crashing than older drivers. Those learning to drive for the first time (as well as more experienced drivers) should study the road safety and rules information in The Driver's Handbook carefully as the learner's permit theory test is based directly on this information.